You read that correctly — Majora’s Mask has sent its falling Moon to the world of Super Smash Bros. Ultimate! 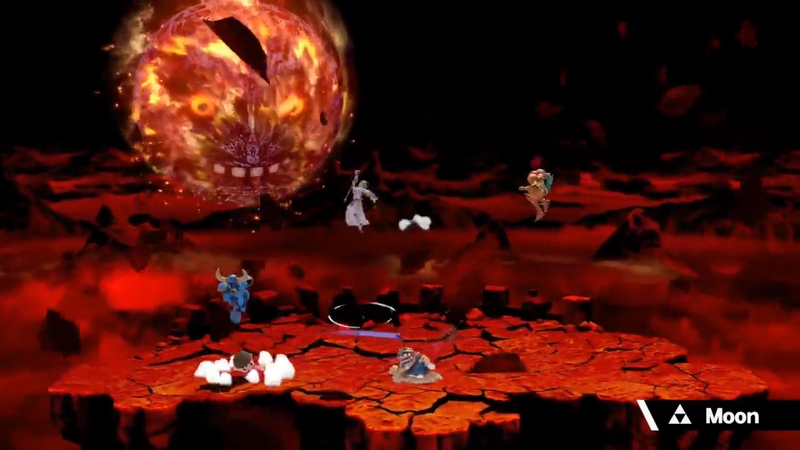 Appearing as an Assist Trophy, we will see the Moon fall into the players’ stage, causing absolute devastation. This is a surefire way to keep players on their toes during battle. The Moon making an appearance as an Assist Trophy is an interesting choice by the developers, and is a nice way to bring one of the darker moments of the Zelda franchise into Super Smash Bros..